Spartan Global extends microloans to entrepreneurs in developing countries through a direct lending process. You can learn more about the steps involved here. Spartan Global's primary field partner is a Guatemalan nonprofit organization called As Green As It Gets. Since we began lending directly to field partners in 2011, we have extended over $14,000 in microloans. Highlighted below are some of these recent loans made to As Green As It Gets through the direct lending process. 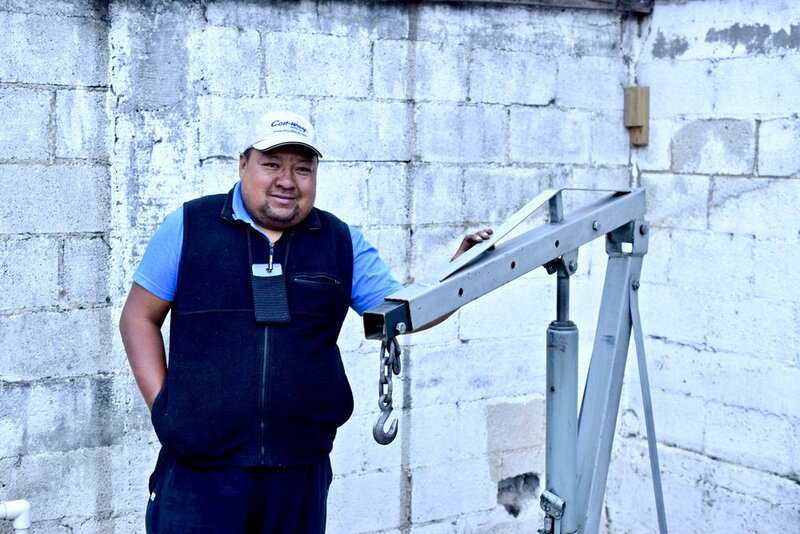 This loan will help Giovanni buy an engine hoist, which will allow him to expand his business and do different type of repairs. Near Lake Atitlán, Nahuala is a small group of traditional, foot-loom weavers that make their own stunning designs and fabrics. Nahula will use the loan to put new proprietary designs on the market. Skilled leatherworker with decades of experience designing bags, shoes, etc. Sergio plans to use this capital to invest in inventory and to create new, innovative items. Aspiring business owner selling specialty meats to his local community. Plans to use loan to purchase equipment to begin his butcher shop. Pictured is Julio with the table he just purchased! Plans to use loan to expand his metalworking business and add more products. 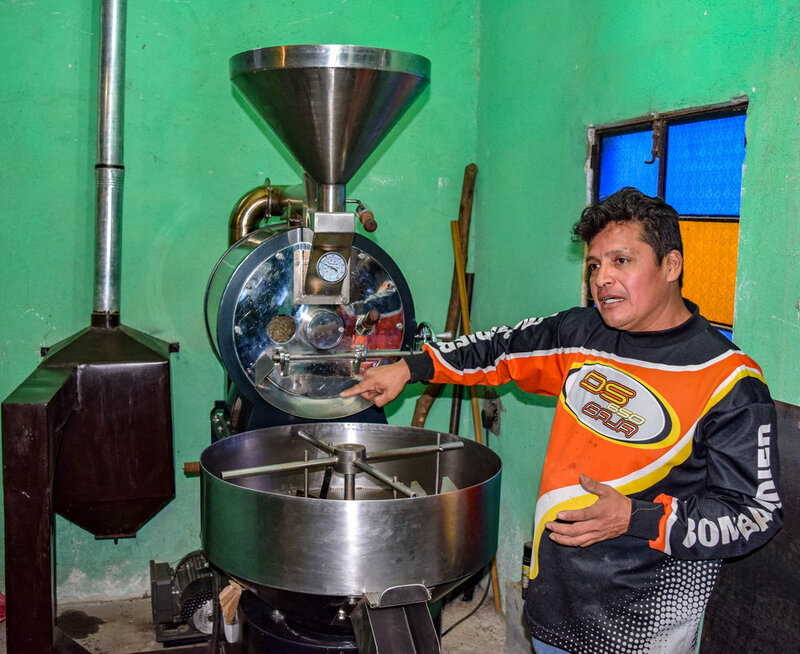 Victor has used his microloan from Spartan Global to jumpstart his coffee roasting business, and has since experienced unprecedented success. Father-and-son coffee farming team (Alberto pictured). Jonny and Alberto have used their loan to purchase fungicides and fertilizer to recover their coffee fields from a devastating fungal infection. Spartan Global also provides microloans through Kiva, an online lending platfrom. You can learn more about how we work with Kiva here. Since we started lending in 2009, Spartan Global alone has extended close to $18,000 with an average loan of just $26. Combined with our Kiva lending team, we have extended 2,500+ microloans worth over $65,000. See some of our most recent loans below! These recent loans have been made possible through the generous support of our sponsors. If you are inspired by these stories and our work, please consider donating to Spartan Global. Your generous contributions allow us to continue supporting aspiring entrepreneurs - 100% of donations are used to support microloans.